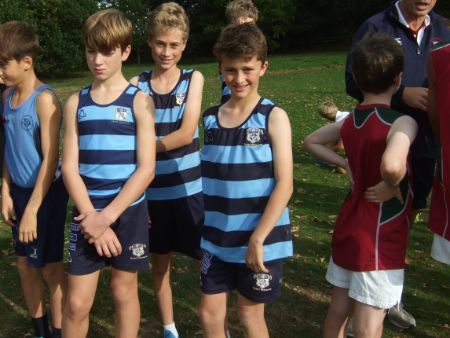 More than 700 pupils converged on The Schools at Somerhill for the annual Somerhill Regional Cross Country event. There was a slight change in proceedings this year with boys and girls of the same age groups running the same distance, the three courses as brutal as ever! Due to football and rugby fixtures, Saint Ronan’s do not enter the U9 competition so for some of the U11 boys, this was their first experience over the 2.2km course. The terrain was perfect with no need for spikes or studs, a long ‘drag’ of a hill and a 50m almost vertical climb taxing the legs of the strongest runners. Lack of experience can be a good thing and, although we had walked the course, our Y5s were undaunted, Oscar B leading the six-to-score team home in a fantastic 28th place. 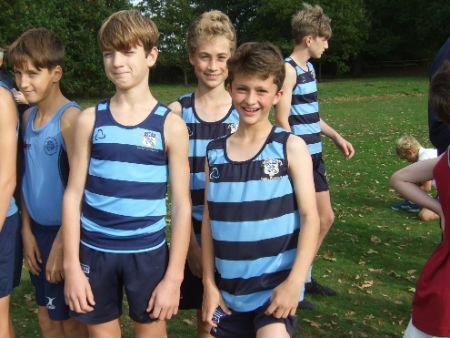 Max M, also Y5, was next to cross the line (35th), followed by Bertie A (45), Billy BF (63), Jack E (68) and Jacob J (69), the boys packing well again. The combined scores of 308 was an improvement of 176 points on last year, the team finishing ninth of eighteen - a superb performance from the Saint Ronan’s boys. Wilby W (121) and Freddie S (122) should also feel proud of themselves running with determination and tenacity. 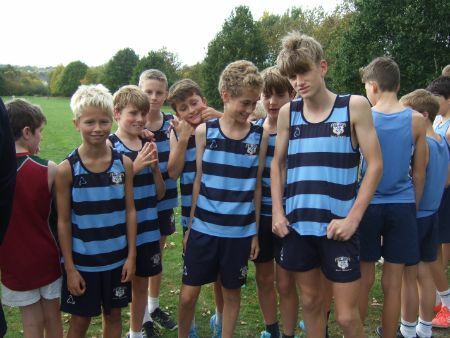 Charlie E is proving a competent and inspirational Captain of Cross Country this season. As well as leading the senior teams in their warm-up drills, he is running superbly, finishing in an impressive sixth place over the 2.8km course. 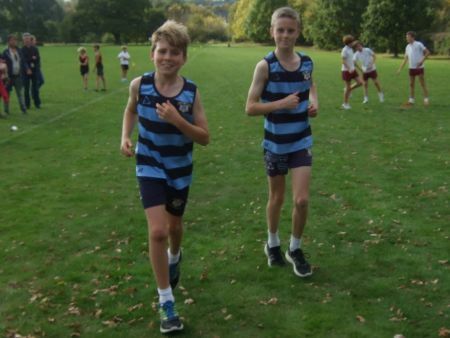 The surprise run of the afternoon came from Archie W who, having started the race with the leading pack, held on to cross the line in fourteenth – all that fitness training on the football pitch paying dividends! Strong, focussed and determined, Jasper S was next home (20), followed ably by Ellison VR (31), Max R (49) and Aston B (56). The combined score of 176 was enough to give the Saint Ronan’s boys third place, behind the indomitable Sevenoaks School and Yardley Court. Well done lads – we are proud of you! Mention also of Arthur VdB who, having made his debut at the Brenchley Relays (for New Beacon!) showed real grit on minimal training to finish 94th of the 101 runners. An excellent performance from the boys – well done!